I finally got around to setting up a Twitter account for Menu In Progress. I'm primarily planning on using it as a way to follow foodie folks and businesses that use Twitter instead of or in addition to blogging. 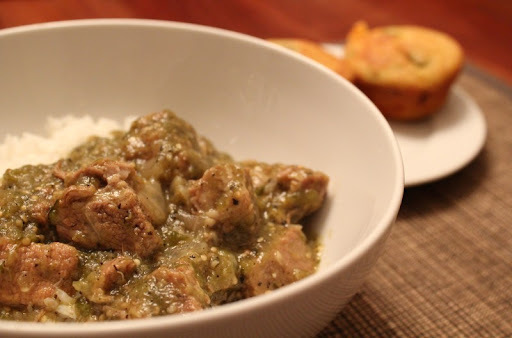 I also think it will be a good way to share the odd tasty picture that didn't quite warrant its own blog post. So, if you are so inclined, you can find us over at @menuinprogress. As winter turns to spring, we've been enjoying a very nice salad that has a foot in both seasons. We planted daikon radishes last November, and now they are nice and big. As a bonus, when we harvest them they have beautiful flowers that have an intense, radish taste. 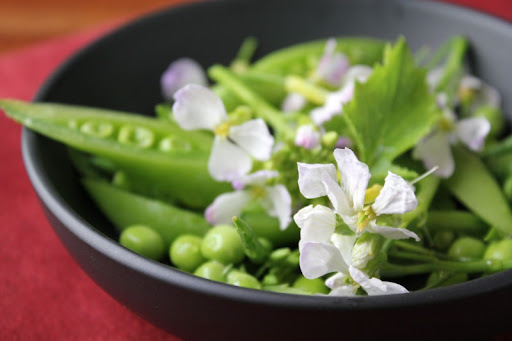 On the spring side, our sugar snap peas are producing like crazy at the moment. No chance of them going to waste, though - we can't get enough of them. 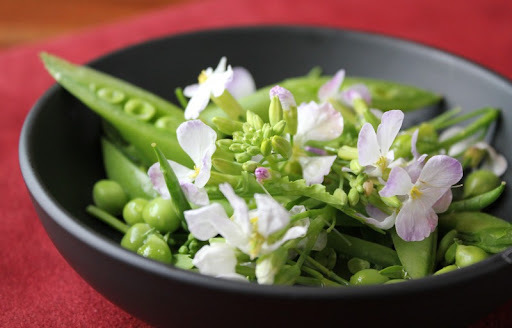 The peas and the radish flowers combined make for a salad that is as pretty as it is tasty. A little bit of vinaigrette - not too much - is the only other ingredient. 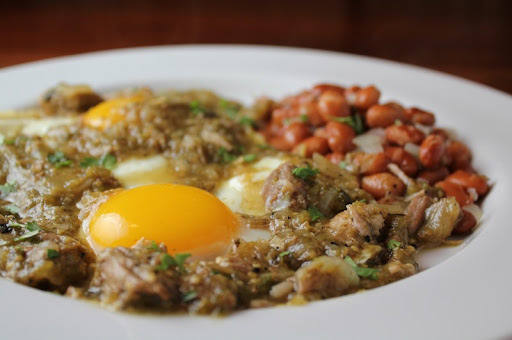 Huevos Salseados are eggs served with sauce left over from a guisado (stew). I'm not sure how widely used the term is - we first came across it at Super Cocina, a fantastic home-style Mexican restaurant we are fortunate to have here in San Diego. 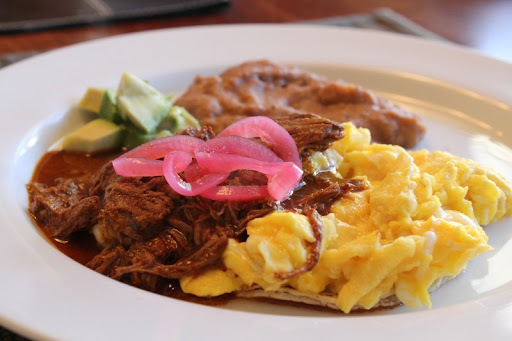 While their main business is serving a variety of guisados for lunch and dinner, for breakfast they will take the sauce from any of the stews and serve it with eggs. 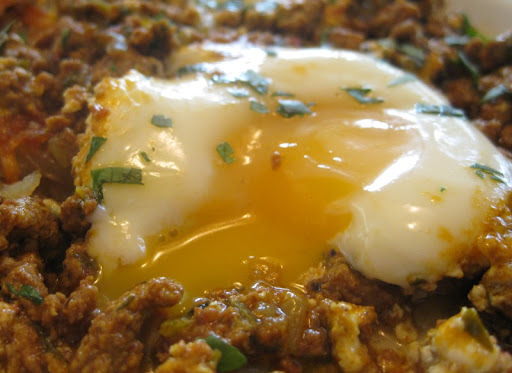 Any saucy, stewy dish that was good the first time around is likely to be even better for breakfast with some eggs.